The BFI are delighted to welcome Anjelica Huston and Angela Allen (Script supervisor/Continuity on The African Queen) to the BFI Southbank stage for the London premiere of the new restoration of John Huston's classic Oscar-winning adventure The African Queen. 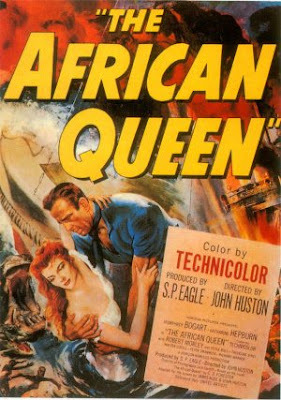 The saga of filming CS Forrester's tale of an unlikely couple who join forces on an African riverboat to sink a German warship looms almost larger than Huston's film, with everyone involved – including Cardiff – recalling the illness and dangers that beset them in Congo and Uganda. But much ingenuity was also needed to link material shot in Turkey, London and LA for this classic adventure that brought Bogart his only Oscar.